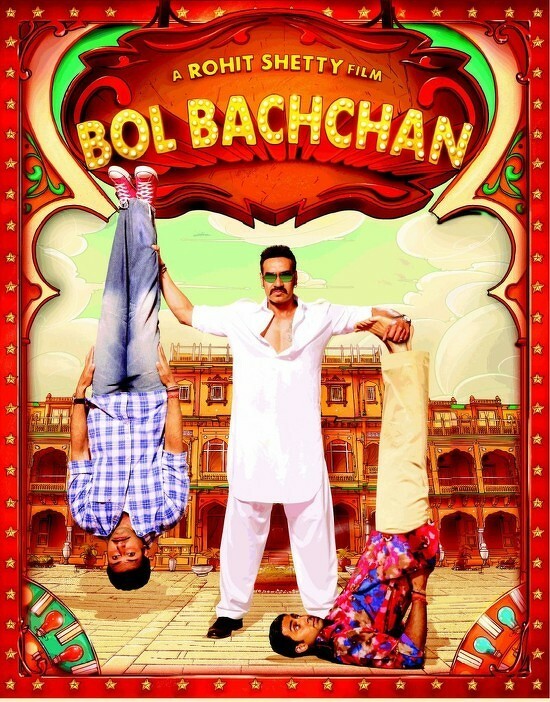 It’s that time of the week again where we give you the list of Bollywood movies that are releasing on the coming Friday that is on 12th October 2012. 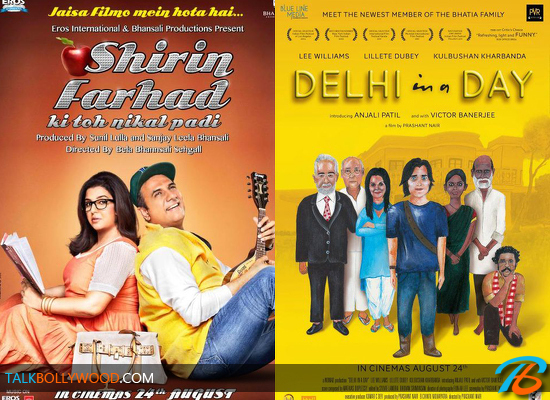 This week we have 8 Bollywood movie hit the theaters. Here’s a sneak peak. Aiyaa: Stars Rani Mukherjee and Prithviraj. It is the story of a Maharasthrian girl named ‘Meenakshi’ who falls in love with a South Indian guy because of the way he smells. This romantic comedy is set to tickle your funny bone this Friday. Bhoot Returns: Stars Manisha Koirala and Alayana Sharma. Bhoot Returns is a sequel to Bhoot which released in 2003, it also marks the return of Manisha Koirala in Bollywood. Be prepared to get scared! Makkhi: Stars Sudeep, Nani and Samantha. Makkhi is the story of two people who are unable to express their love for each other. As faith would have had it, one of them is murdered and is reborn as a fly to take revenge! The film boats of excellent visual effects. Chittagong: Stars Manoj Bajpayee, Delzad Hiwale and Nawazuddin Siddiqui. The movie is set up in 1930’s when India was occupied by British. It’s the story of a 14 year old boy who dares to take on an empire. In addition to these, there are 4 more releases – Login, Rabba Main Kya Karoon, Prem Mayee and In the Name of Tai. 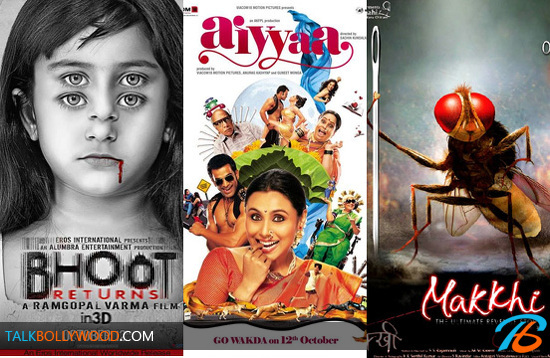 So these are our 8 Bollywood releases for 12th October 2012.